Paia Bay is a destination if you are an accomplished bodyboarder. A long, nice beach with an excellent near-shore surf break. In a nutshell: Paia Bay is a destination if you are an accomplished bodyboarder. A long, nice beach with an excellent near-shore surf break. Minuses: The park and bathroom areas can be dirty, and sometimes attract vagrant types. 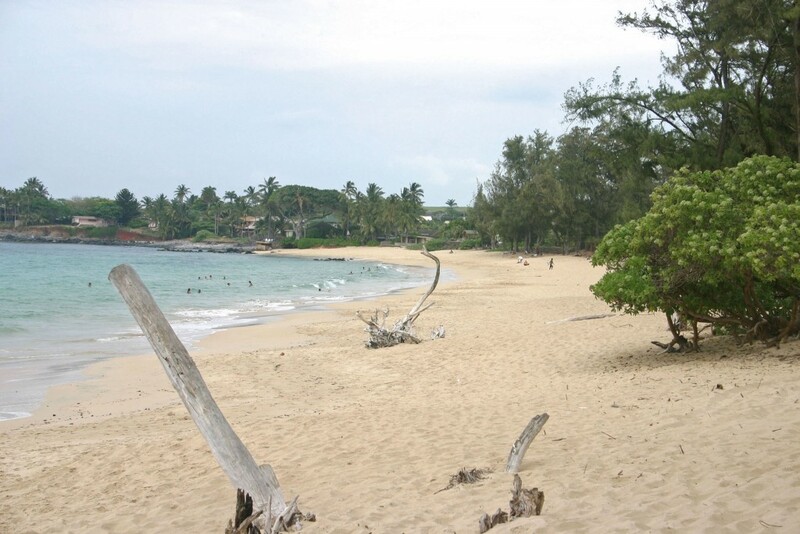 Paia Bay is a favorite for bodyboarders and bodysurfers. The break is generally just a bit off shore and over head, so fins are a good idea. Definitely not a place to bodyboard unless you have experience as the waves can get large. There is another break for surfers further off shore. In the winter the surf here can get huge, and dangerous rip currents can form. If it looks really rough, even though you’ll probably see locals boogie boarding, don’t go in unless you’re very experienced. The grassy park between the highway and the beach tends to attract a few vagrant types from Pa’ia. If you’re from any city of size, the “vagrant” types you find here are usually rather tame in comparison to those you left back home. The beach itself is actually very nice, and so is the water. You can walk or run along the beaches and shoreline from there all the way to Baby Beach – a good 3-mile round-trip. Facilities: Showers, bathroom, basketball courts, skate park, youth center. No lifeguard.